24 of Our Favourite Things about Amber: Happy Birthday! 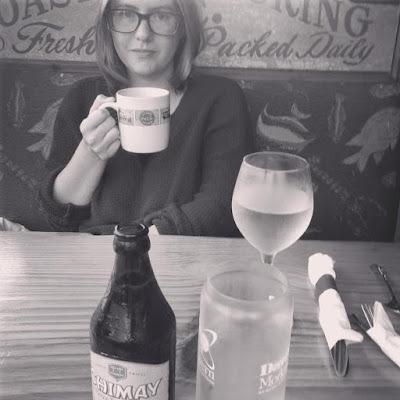 In honour of a special friend's 24th birthday, we came up with a list of 24 things we love about her. I bombarded her Facebook wall with each individual list item in reverse order so she could read them. Suffice to say, this lovely lady will wake up to LOTS of notifications! 1) I love that Amber tries to enjoy snowy days because she knows I love them, but she just can't quite cope with the cold. For you, Amber, I'll try to enjoy these 60 degree days in February. 2) She looks change in the face and says "Make me better." 3) I love Amber because she is really strong and takes every sour lime life throws at her and makes a bomb margarita. 4) We love Amber because she gives genuine, honest advice to problems, without judgement. 5) Amber's passion for things like food and shoes turns into such a playful giddy excitement that is always so fun to encounter. 6) I love that Amber is crazy enough to listen when I say stuff like “Amber! Let’s go to High Point in our PJs!” Not only that, but she actually follows through! Definitely one of my favourite memories with you. 7) Amber is the only person I know who could go from a long shift at work on a Friday night, come back to the dorm covered in grease and exhausted, and in 15 minutes turn into the most gorgeous, cheerful party girl simply - because we begged her not to go to sleep. It may be a round-about way to get to the point, and a weird example, but Amber I love your dedication and determination to be happy and fun! 8) She embraces everyone else's weirdness, and shares her own. 9) I love Amber because she’s always there when you need her and sometimes she is there with cheesecake. 10) She makes for a great drinking buddy, whether it's a bottle of wine or a case of beer. 11) She always knows how to tell it how it is, but also knows how to make me feel better when I'm in a slump...and that's awesome. 12) One of my favourite things about Amber is that she knows when you need a listening ear and a good hug, and even if she can’t necessarily do anything about it, she’ll try her very best! Also, she gives really good advice. 13) Amber is the best road trip partner of all time. Who else would laugh off getting lost in Livingston, Alabama, nearly running out of gas, driving around in circles on backroads, and make a feast out of chips and candy at a gas station? A true champion. 14) She reminds me to smile and look for new adventures. 15) I love Amber because she has a huge heart and never wants to give up on someone or let them out of her life. 16) She's not afraid to cut loose and just be herself, which is great because the real her is awesome! 18) Only Amber would decide to take advantage of a really awful, dreary, rainy day (that not even Caro and I were enjoying), and turn it into one of the most epic laugh fests we’ve had together! I’ll always remember the night that the Speckled Amberilus was born. 19) My most favorite thing about Amber may be those moments when she grabs your shoulder and says the fateful words, "We got this." She only speaks these words when all hope is lost, you've messed up big time, there's NO fixing whatever is spiraling out of control. But since Amber is there, you know that at least you're in it together, and honestly, it's probably going to turn into a great story.... someday. 20) She knows when to hold you close and when to smack you upside the head. 21) I love Amber because she’s always the life of the party. She’s going to be the one that keeps us all young. 24) I love that Amber is willing to go the extra mile to do special things for her friends! She knows how much I love special occasions like Valentine’s Day and birthdays, and she ALWAYS made sure to do something special and unique for me! On Thursday, I featured part 1 of my NRW series. Today, I'll talk more about two of the restaurants I visited, OhCha Noodle Bar and Zen Garden. I predict I'll be starving once I'm done! I'm definitely looking forward to reviewing more restaurants in and around Nairobi. I've actually never been here before, but I've been meaning to go so when my fellow foodie and blogger friend Darshani of https://cupcakestocurry.wordpress.com/ suggested a few options for lunch, I picked this one. I knew that the one at Westgate would be busy, so lazy me decided to go to the one at Village Market. For starters, I decided to go for the Vegetable Spring Roll. The spring rolls themselves were good, but I especially liked the sauce they came with! Not quite sure what it was, but it was some sort of sweet and spicy concoction. If you're confused by what the food was served in, don't be! Since we were at a food court, the food came in ready-to-take-away boxes. The design on the boxes was pretty cool, but I'm not going to lie, I had a really hard time closing the box and finally had to ask for help! 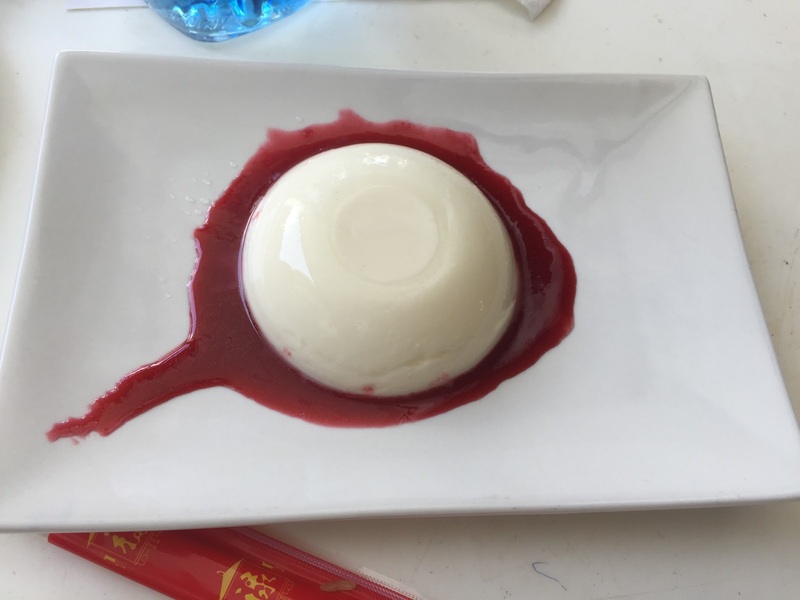 For dessert, there were no options to choose from, so we got the Coconut Panna Cotta that was part of the menu. It was really refreshing, and I see why it was selected as the dessert of choice! It wasn't too sweet, so we were able to finish the whole thing. Overall, I enjoyed my OhCha experience and I do plan to return, especially so to actually try their noodle bar. I can't say much for the ambiance since we were in a food court, but the service was pretty good. One of my favourite things about this meal, apart from the chicken, was how well the different courses blended together. Bonus: I really liked the bags they gave us to put our take away in! Now, since Zen Garden is one of my favourites (two of my favourites? ), there was no way I could skip doing this during NRW! I love having friends who love food too, and two of them accompanied me for dinner. 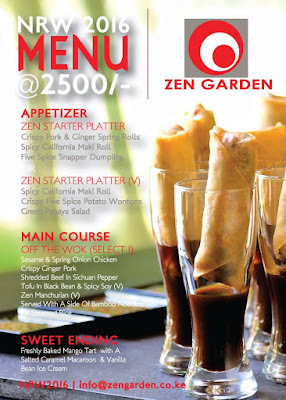 Zen Garden's Pan-Asian side, Bamboo, did the NRW 2016 menu, but the continental side, Jade, did not. For starters, I went with the first starter platter, which consisted of Crispy Pork & Ginger Spring Rolls, the Spicy California Maki Roll, and the Five Spice Snapper Dumpling, and my friends went for the vegetarian platter. Surprisingly, when I read the menu, the dumplings sounded then least appealing, but they turned out to be my favourite appetiser on the plate! The sauces were great too, and I ended up hanging onto them to add to my main meal. I loved the combination of the starters, especially so the spring rolls and the dumplings. 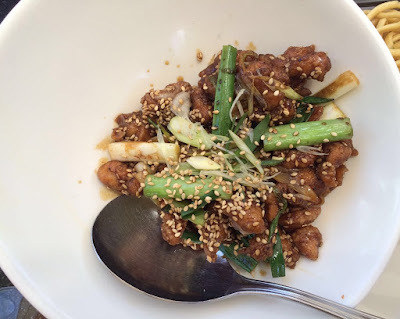 For the main meal, I ordered the Sesame & Spring Onion Chicken, and my friends got the Zen Manchurian and the Tofu in Black Bean & Spicy Soy (both vegetarian). Can I just say that my chicken was AMAZING?! Again, here's something I really hope they add to their regular menu! The flavours of sesame and spring onion blended together seamlessly, and I just loved the whole thing (and finished it too)! My friends enjoyed their meals as well, and after having tried a bite of the tofu, I agreed. If I was to order vegetarian, I would've gotten that. For their dessert we all got the Freshly Baked Mango Tart with a Salted Caramel Macaroon & Vanilla Bean Ice Cream. To be absolutely honest, out of all the desserts I've had at Zen Garden, this one was my least favourite (their passion fruit cheesecake, however? I live to eat it). Maybe this is because it was hard to live up to such an amazing second course! However, I absolutely LOVED their presentation. The service here was amazing, as usual; it's like the waiter knew right when to come over, and that's always a good thing. The ambiance at this restaurant is one of my favourites in Nairobi, I doubt there's anyone around who doesn't know that! 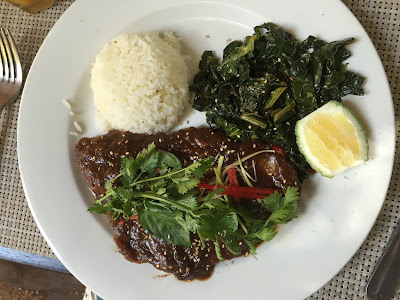 There are some who felt that the prices were a little steep, and a regular meal at these restaurants may have been cheaper, but I loved the opportunity to try dishes that weren't on their regular menus! I do wish that the price included at least one drink though, it may have been a more attractive offering to many. Did you all get to try out any restaurants for NRW 2016? I'd love to hear about them! If you know anything about me at all by now, it should be this- I'm a huge food and wine lover. Combine that with a love of writing, and I resolved to make sure I write more about food and wine this year! Nairobi Restaurant Week ran from the 28th of January to the 7th of February, with some restaurants extending until the 12th. Around 50 of the city's finest restaurants designed special 3 course menus for KSH. 1500 or 2500, and 2 course lunch menus were also available, for KSH. 1000 or 1800. This was the first Nairobi Restaurant Week I was actually in the country for, so I was really excited to attend! I managed to attend 3 restaurants this time, and hopefully next year, with a little bit of planning, I'll be able to try more! I managed to do About Thyme, OhCha Noodle Bar and Zen Garden. I started off NRW 2016 by heading to About Thyme for a lovely lunch with my mum. We both decided to do two courses, and share a starter and a dessert. A good thing too, since we were both so full by the end of it! For starters, we had the Golden Sweetcorn Fritters with Avocado Salsa. I really enjoyed these, especially with the avocado and lemon (or was it lime? I confess to being horribly ignorant about the differences). I've only ever had salsa that definitely had hints of red and came in a bowl, so this was a cool change. I definitely wouldn't mind trying these again- maybe they could add them to their regular menu? Hint hint? The only thing I think would've made them a little better would be a little chilli on the side- and I definitely used the sauce they gave! For the main meal, my mum ordered the Tamarind and Chilli Tilapia, and I had the Morendat New York Farm Strip Steak on a Mushroom Puff Tartlet. My mum says that the fish was excellent, and the bite I stole definitely confirmed this. Unsurprisingly, I wasn't as interested in the kale as she was, so I can't comment on this! While my steak was good, I felt that it definitely couldn't measure up to About Thyme's famous pepper steak (seriously, it's so good), so part of my meal was spent fondly thinking about the latter. However, I loved the mushroom sauce, and the combination with the tartlet! The veggies were done well, and I actually finished them. NB: I know this might make some of you stop reading, but I feel like I must warn you- I order my steak well done. Like, almost burnt. No chance of anything bleeding on my plate! For dessert, Mum and I went for the dessert trio, which consisted of a chocolate pot, banoffee tartlet and granadilla/lime cheesecake. Oh. My. Goodness. I'd've happily come back to do NRW at About Thyme and had this for all three courses (and I expressed as much to the owner). This trio was DIVINE! Aside from the food, the service was warm and friendly as usual, and I noticed Deborah (the owner) going around and checking on everyone, including us. I'd never sat in the garden before, and I think it was a pleasant location for lunch. Bonus points for the fact that I didn't get eaten alive by mosquitoes as I usually do! If they had to add anything from their NRW 2016 menu to their regular one, I would strongly suggest the dessert!! Keep an eye out for my next post, in which I talk all about OhCha and Zen! The universe works in strange and often mysterious ways. Whatever your religious beliefs (or lack thereof), I doubt you can argue against this fact. And often, you're reminded of this fact when you're least expecting it. A little over 6 years ago, I was in the process of preparing and sending out my college applications. I had decided that I wanted to study in the U.S. (because studying in Kenya or the U.K. would have restricted me to a single subject, and I wanted to do more), but there was a bit of a struggle in that coming from a British educational system, I knew little to nothing about the American educational system- and neither did the careers department from my high school. I was forced to look outside my school system for help on applications and prerequisite examinations like the SATs, and so I ended up at the American Educational Advisory Center in Nairobi. Again, here, due to a lack of information on my part, most of the universities I applied to were chosen by someone else. When studying for my SATs, I met an admissions counsellor from Sewanee: The University of the South. He wasn't here for a school visit, so our meeting was complete coincidence. 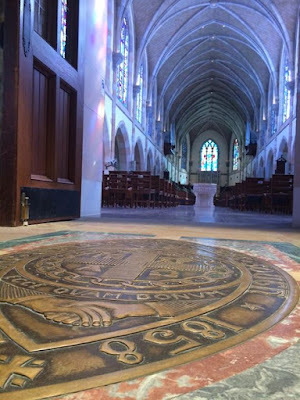 I had never heard of Sewanee before, which now actually astounds me, considering its reputation (to give you a hint, one of my best friends turned down Harvard for Sewanee without even thinking about it twice). He spoke to a group of us about Sewanee and also spoke of the five full merit scholarships that were awarded annually to international students. At this point, I thought that there was NO WAY I would ever make the cut. I was a good student, but competing with hundreds of others from around the world for 5 spots at such a highly ranked school? I really didn't think I'd ever make it. I wasn't even sure I would get in! Anyway, the talk piqued my interest, and I started to do more research into Sewanee. The more I learnt, the more impressed I was, and I decided to apply. March 2010: I found out I got in. I wasn't selected for one of the five full scholarships... but I was their first alternate! I was absolutely astounded- I honestly hasn't expected this at all. April 2010: In addition to all the extraordinary line of events leading up to this, one of the original five turned down their scholarship- which meant that I got it! Of course, I was ecstatic at this point. This was a fantastic opportunity at a fantastic school, and six years after the whole process, I can honestly say that going to Sewanee was the best decision I've made in my life so far. 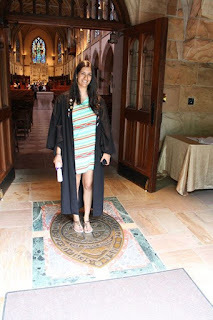 In addition to the amazing education I got and the networks I'm now a part of (graduating from Sewanee is like joining a huge and happy global family who're more than willing to help each other out), Sewanee gave me the very best of friends and mentors and memories I'll treasure for ages! From never having heard of this school to discovering how amazing it was to thinking I may not get in to not only getting in but being awarded a full scholarship, I feel like my life so far is proof that sometimes, the unexpected happens in the most extraordinary of ways! I think I needed to reflect on this and write about it today. Thanks for the reminder Mum! Dinner, drinks and dancing, coffee at your favourite little cafe... eventually, the same routines get old! People get really inventive when coming up with ideas for dates, so I thought it'd be nice to talk about some fun ideas that friends can choose from too! Of course, there are COUNTLESS others, but I thought this'd be a nice place to start! Some of these ideas are Kenya-specific, but I'm sure you'll find similar things to do abroad. 1) Visit the David Sheldrick Wildlife Trust: Plan to visit around the time all the baby elephants are out to play. 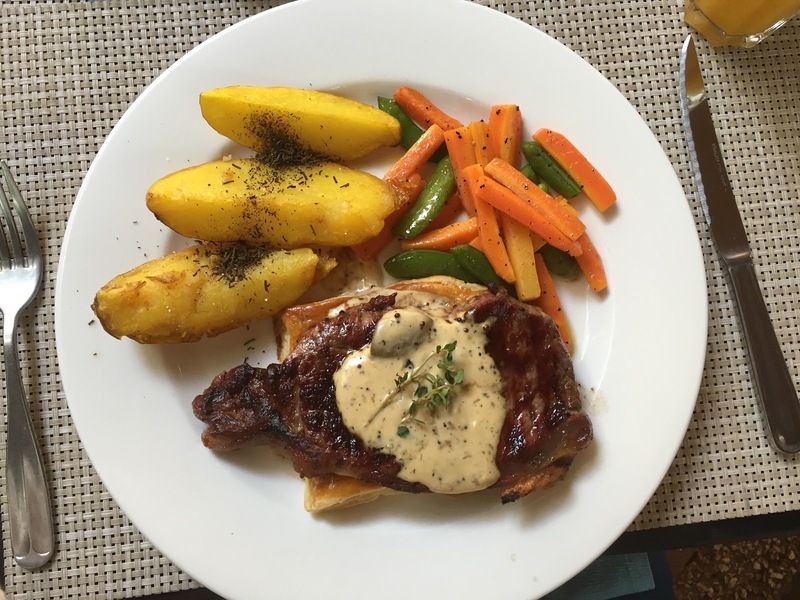 If you have extra time, make sure to visit the giraffe centre too, and then head to one of the many fabulous restaurants in Karen, like Talisman! 2) Take a walk: Again, if you're in Nairobi, get up early on a weekend and head to Karura forest. (I'm ashamed to admit I haven't been yet, but I'm planning to soon!) I've heard it's absolutely beautiful! 3) Sign up for a class together: Be it zumba or cooking or shooting or bartending or painting or Irish, learning something new is always fun if you have a friend with you! If you've always wanted to learn something, but felt silly at the thought of signing up, rest assured that it'll be easy with a friend. 4) Wine and canvas: You get to drink AND create something awesome together. How cool is that? Most cities have their versions of this I believe, and it's quickly catching on. I was excited to learn that Nairobi does this too! 6) Head to a restaurant that does karaoke: Personally, I don't think I'd go for this for fear of all the glass around me breaking, but I've been there while friends have gotten up and had a blast, and it was lots of fun- for all of us! 8) Road trip: If you have enough time, plan a road trip and stay in another city for two or three nights! It'd be a fun getaway for all of you. My personal recommendation? NOLA. If you're within driving distance, of course. What are some things you like to get up to when you're with your friends? I'd love to hear from you!